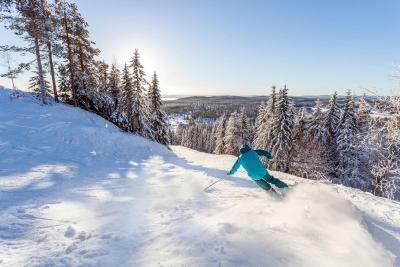 Lock in a great price for Mora Parken Hotel – rated 8.1 by recent guests! Nice park around the hotel, very quiet, very good breakfast included. The Bed was extremely comfortable. The staff could not have been more helpful and friendly. 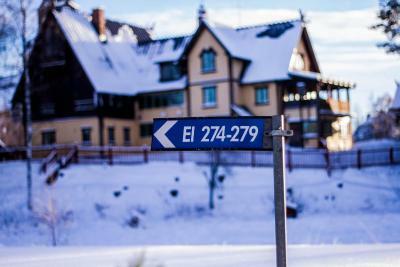 If I am going to be in Mora again, this is where I will stay. The breakfast was astounding. Great location. Would definitely stay again. Everything was great! The room was large, clean and neat. 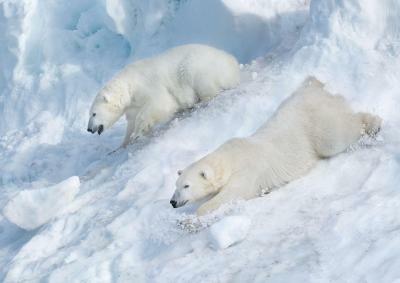 After the first night I requested a room charge due to noisy neighbours. 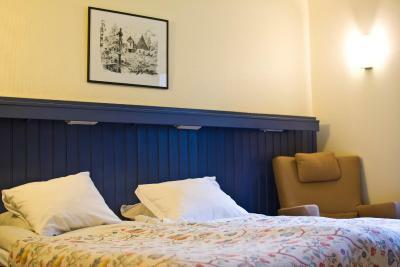 I was moved to a quiet room at the end of the hall and slept like a baby! The breakfast was great! The scenery around is fabulous, beautiful river and trees. Nice and welcoming entrance, correct size family room. Nice and helping staff. Great location. 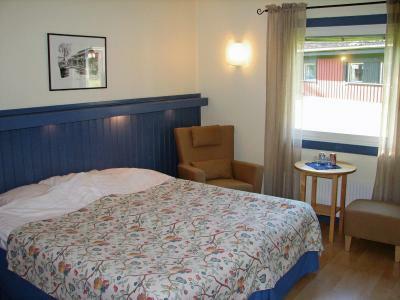 Mora Parken is a great place for touring for kids for overnight stay for a holiday Cannot praise it highly enough. 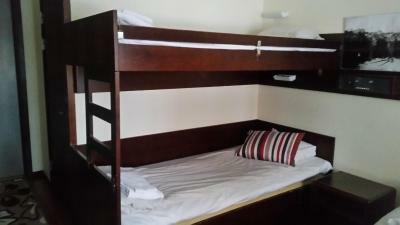 Rooms were clean and comfortable. We arrived after reception closed and the method for finding our keys was accurate and easy. Excellent breakfast! 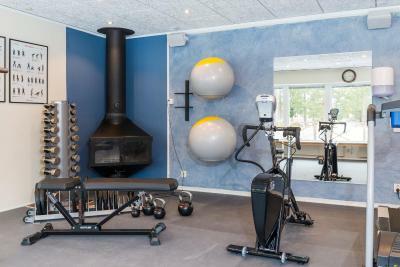 Functional hotel, good for residents doing sport. Need to have a car since it's situated 2 km from the center of Mora. Nice staff. 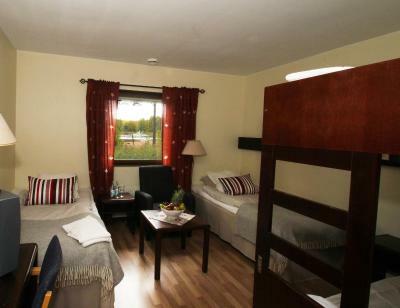 Mora Parken Hotel This rating is a reflection of how the property compares to the industry standard when it comes to price, facilities and services available. It's based on a self-evaluation by the property. Use this rating to help choose your stay! 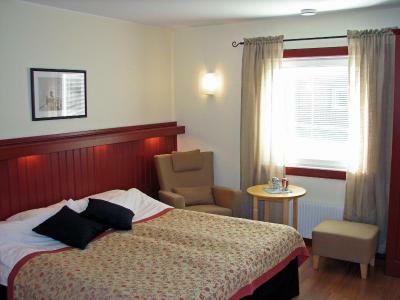 This quiet hotel is located by the Dalälven River, 10 minutes’ walk from central Mora. 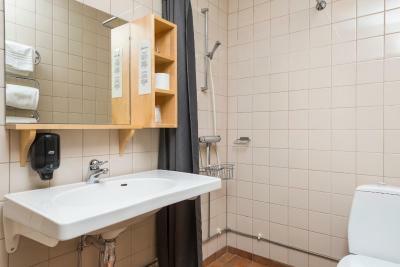 It offers free parking as well as a sauna, several terraces and a bowling alley. Mora Parken Hotel’s guest rooms offer views of the Österdal River, and some overlook the surrounding garden. 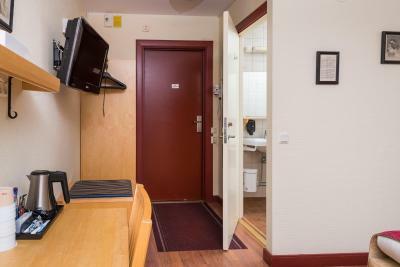 All guest rooms at Mora Parken have a work desk and cable TV. 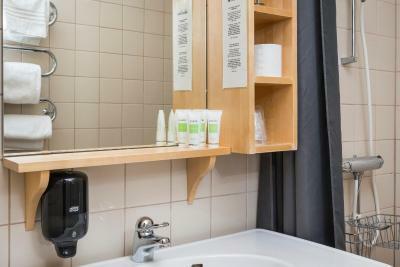 Free Wi-Fi is available in all public areas at Hotel Mora Parken. 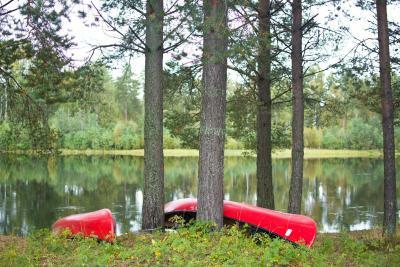 The surrounding area offers activities such as fishing and canoeing, and the Mora Golf Club is less than 10 minutes’ drive away. 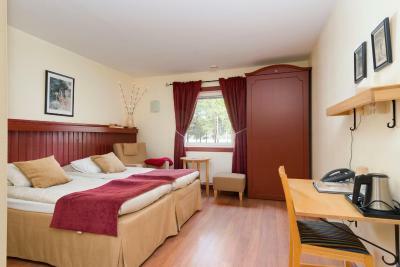 When would you like to stay at Mora Parken Hotel? 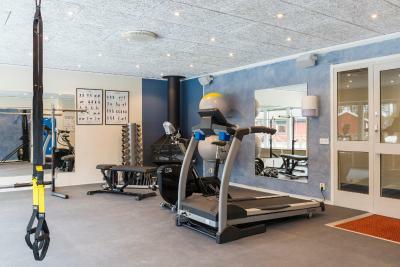 House Rules Mora Parken Hotel takes special requests – add in the next step! 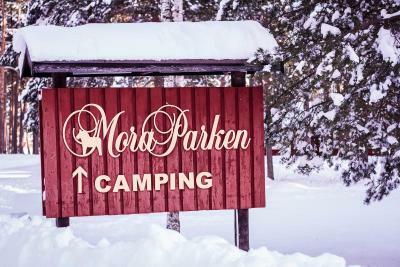 Mora Parken Hotel accepts these cards and reserves the right to temporarily hold an amount prior to arrival. 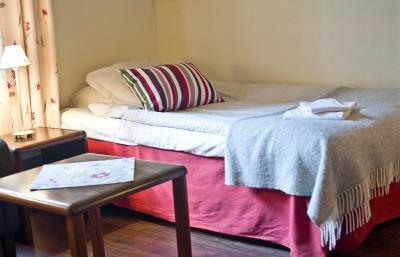 Bed linen and towels are not included in the holiday homes. 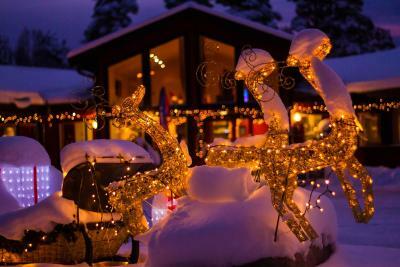 You can rent them on site for SEK 175 per person or bring your own. The bathroom was not cleaned properly and we found old diapers in the garbage bin after we wondered what was smelling so bad in the bathroom. The food (chicken, scrambled eggs) was not warm at the evening or in the morning in the breakfast buffet. Bathroom was too small and shower wasn't warm unfortunately. Breakfast was fantastic. Great location. U should have your own car else don't book this. Location, space, environment and energetic. A bit far from Mora. Rather functional but not charming. When crowded, breakfast room was bit too small. Nice breakfast. Coffee/Tea supplies in the room. Very helpful staff, they helped us with a lodge where our dog was not allowed, but they fixed it right away. The breakfast was very good. The kitchen knives were so unsharp that it was hard to use them. Also the pan has seen its best days. The cottage was well-equipped and practical. Beds were comfortable. Everything worked well. 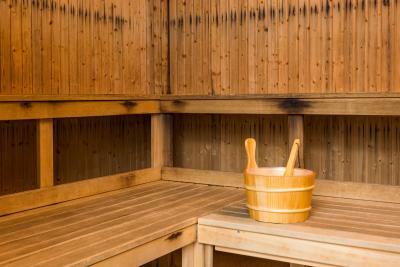 There is a sauna in the main hotel building. Just beside the cross-country skiing track. 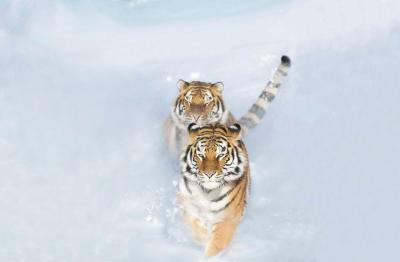 Pets are allowed in several cottages.